Thousands of Persians fled their homeland of Iran after the revolution and the fall of Shah in the late 1970's. Many fled to Europe and Canada, while others settled in the United States. For those who chose America, Texas became one of the largest settlement areas for Persians with large populations in Houston, Dallas, and Austin. California also is home to large populations of Persians. They are often educated and very proud of their heritage and rich Persian culture. They are friendly and love their families. Most consider themselves Shiite Muslims, while some adhere to Baha’i faith, Sufism, and the pre-Islamic religion of Zoroastrianism. Persians are insecure about their ultimate destiny. They realize their Islamic faith does not get them closer to God and are not sure at all where they are going to go after they die. As a result, they are often open and receptive to hearing and even receiving the Gospel message. For God to give Christians a non-judgmental love and without prejudice for the Persian people group. For discipleship and spiritual growth of new Persian believers. Pray for churches to develop intentional church planting strategies specifically focusing on Persians. 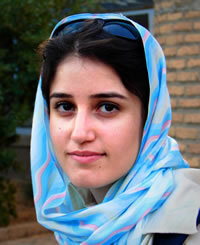 Pray for Christians that live and work among Persians to begin loving friendships with them. Displaying 1-30 of 77 results.